If you're new to cross stitching you may feel like getting started right away. But it's a good idea to familiarize yourself with the basic tools and terms you will be using. You already know about the dull needle and the floss, but what about the cross stitch fabric count? Chances are your patterns will call for a specific fabric count, such as a 14 count fabric. Here's an overview of what this term means and how you'll be using it as you work on your cross stitch creations. 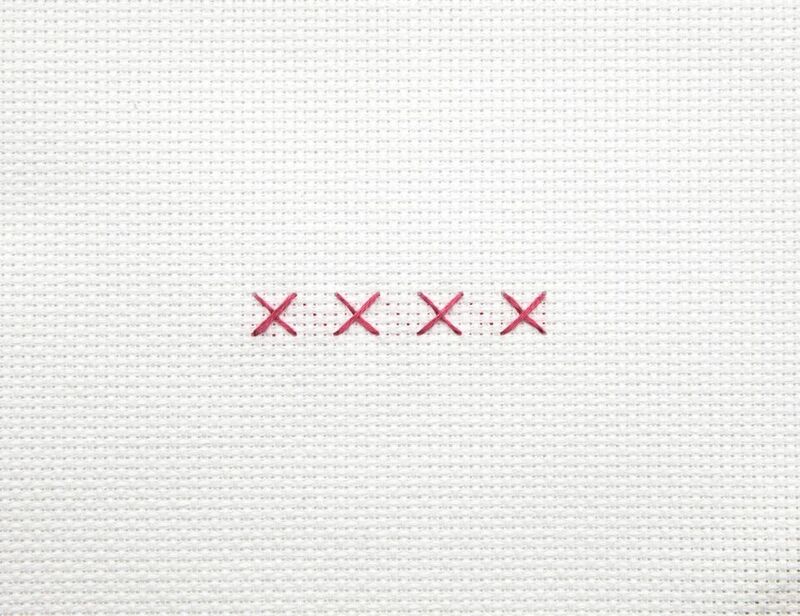 The most common fabrics used in cross stitching are Aida and linen. These are known as even weave fabrics. So the fabric count refers to the number of threads or squares per linear inch in the material. Common fabric counts of Aida range from 10 to 22 squares per inch. The higher the count between inches, the smaller the stitch. Confused? Take out a ruler and look at an inch on it. Then take out your fabric and count how many stitches you can make within that inch. If your fabric is bigger, say 10 count, then you will be able to stitch 10 cross stitches in that inch. The larger the number, the more stitches you can pack in, but your entire project will be smaller. Linen fabric counts are based on threads per inch can be as high as 32 threads per inch or more. Again, get out your ruler and linen fabric. Look and see how many stitches you can get in that inch. There are a lot of stitches, but they are very tiny. Fabric counts are referred to by naming the number of threads or squares per inch and adding -count. Thus, fabric with 11 squares-per-inch is called 11-count fabric. You might sometimes see a project refer to the number of squares per inch. This type of labeling means the same thing as thread per inch. Now that you understand what fabric count is, you will have the ability to adjust pattern size and work on bigger projects without feeling overwhelmed. It is an easy way to break down big patterns into smaller, more manageable pieces. There are many sites that can help with counting the cross stitch or with more in-depth information about fabric count such as how to adjust your fabric, either larger or smaller, to alter your final project. Yarn Tree has a great thread count calculator. You simply put in the measurements of the project and it will calculate the size for you. This is a wonderful tool if you want to make a smaller pattern larger for household items such as chair covers and large wall hangings. Remember that when you alter the fabric size, you might lose some of the detail. It is something to think about when choosing a pattern and fabric to alter. Fabric count is essential to a well-made project. You can certainly stitch any way you wish, but knowing what counts are and how they work into fabric will help you gauge the size of a project. You can adjust your pattern to fit whatever style and size you want.